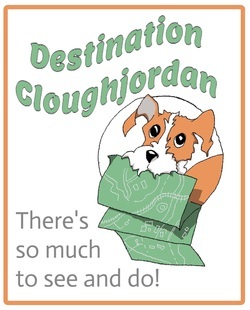 You can take the train all the way to Cloughjordan! We are very lucky to have a railway station right here in the village, with trains from Dublin and Limerick. The train is definitely the "greenest" way to get here, so if you travel to Django's by train, we'd like to say a big thankyou by giving you a Special Saving of 10% on the cost of your stay! Just show us your train ticket to get your discount. You can download the train timetable below, or plan your journey on the Irish Rail website HERE. If you want to take the bus, the nearest destinations are Nenagh or Roscrea. You can download the bus timetable below, or use Bus Eireann's journey planner HERE. Django's is close to the M7 motorway between Dublin and Limerick... If you're travelling by car, you can plan your journey with AA Ireland's route planner HERE. We are now the proud hosts for an E-Cars car-charging point so you can come here in your electric vehicle. 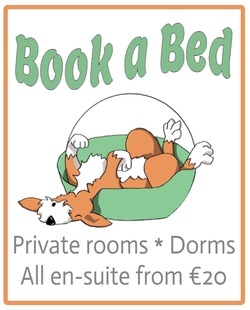 An overnight charge is FREE for guests!